While many people might think of the 8ball as the black-colored ball used in a game of pool, this 8ball is something that is very, very different from its traditional association. In fact, this 8ball is a full end-to-end spatial audio solution for both cinematic VR and 360 video, and it is now available for purchase. When it comes to immersive 360 video production, spatial audio is a critical component in order to deliver true spatial audio, something that VR creators would love to have. The brainchild of HEAR360, the 8ball is best described to be a patented omni-binaural microphone and software suite that offers the complete end-to-end solution when it comes to cinematic VR and 360 video needs. VR creators have had to record immersive audio with microphones that were separate from software workflows until now, resulting in overcomplicated post-production processes. The tediousness of the process is a discouragement to creators, as it prevents them from fully leveraging immersive audio in their productions. 8ball will change the way things work, and as part of its Beta program, it has already been used in productions all over the world. 8ball will empower creators to capture spatial audio in an omni-binaural format, where they can then seamlessly integrate their recordings with post-production workflows via a suite of plugins that are available to purchasers of the microphone. The way the 8ball works is to make use of its omni-binaural capability through its capture of 360° of audio via eight (four pairs) of high-quality omnidirectional capsules. 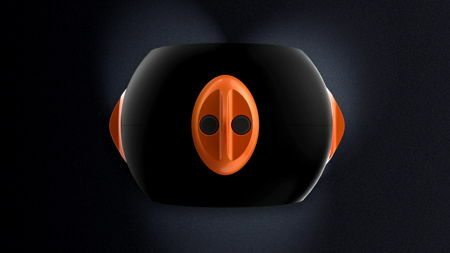 There are also specially positioned custom microphone “ears” that will mimic a human’s perception of audio, and just as our brain decodes 8ball’s recordings, headphone listeners can then perceive sound 360° around their head. It it said that when played back through head-mounted displays, the 8ball offers a “holographic” audio experience, offering an experience that is nearly indistinguishable from that of the real world. The H360player will play nice on major web browsers as well as Android mobile devices for those who are interested.